The Spiti valley is the most surreal beauty at the altitude of 12,500 feet above the sea level; a fusion of lush alpine beauty set aptly amongst the streams, rivers and lakes cascading slickly like silk through gorges and ravines, on the other side stand towering brown mountains covered boisterously with snow amidst the crimson and cherries of the Tibetan culture. 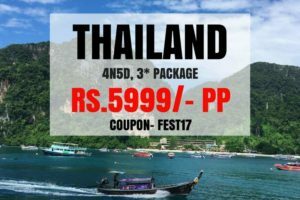 You’ll be enthralled at the spellbinding landscape with hints and tinges fixed in blue of water. 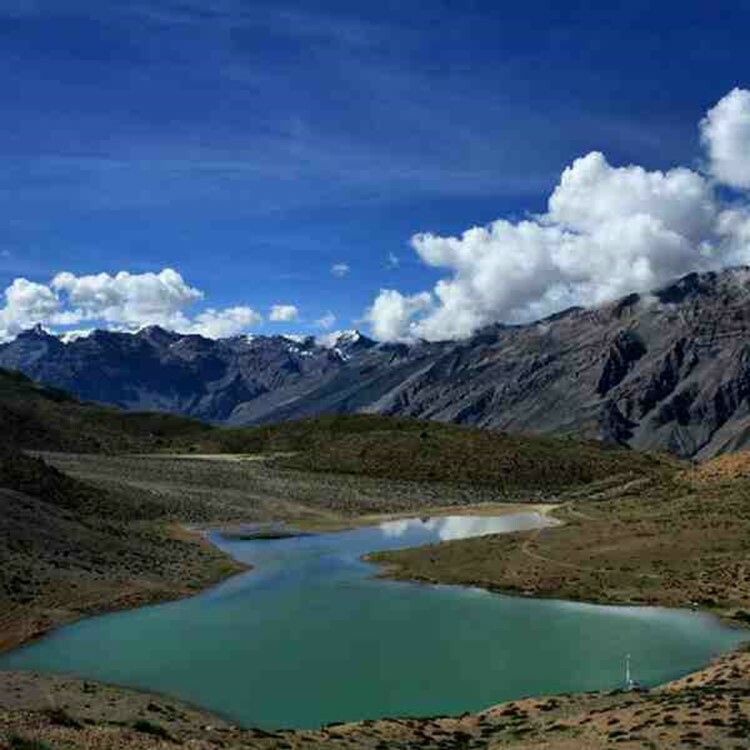 During summers when the Spiti valley is laced with green from the white and brown of winters, March to June are the best months to visit, the temperature rarely drops below 15 degree Celsius and the days turn to be hot and pleasant, surging the flow of trekkers and campers. July to September, the monsoon season welcomes moderate to heavy rainfall resulting in dangerous landslides making Spiti unsafe and too risky a place to visit. 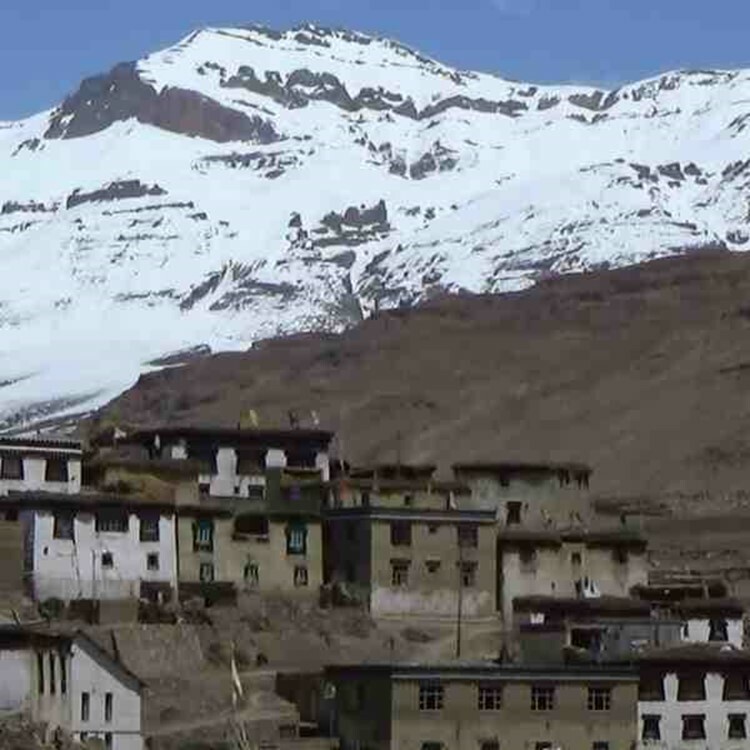 October to February, when Spiti wears the fur of snow to protect itself from the dry chilled freeze of Himalayan winds, with extreme temperatures and inhospitable roads, Spiti is blocked up for most of the time making it least advisable to visit during these months. The minimum drop in temperature is 20 degree Celsius in November which drops further with the progress in winter. 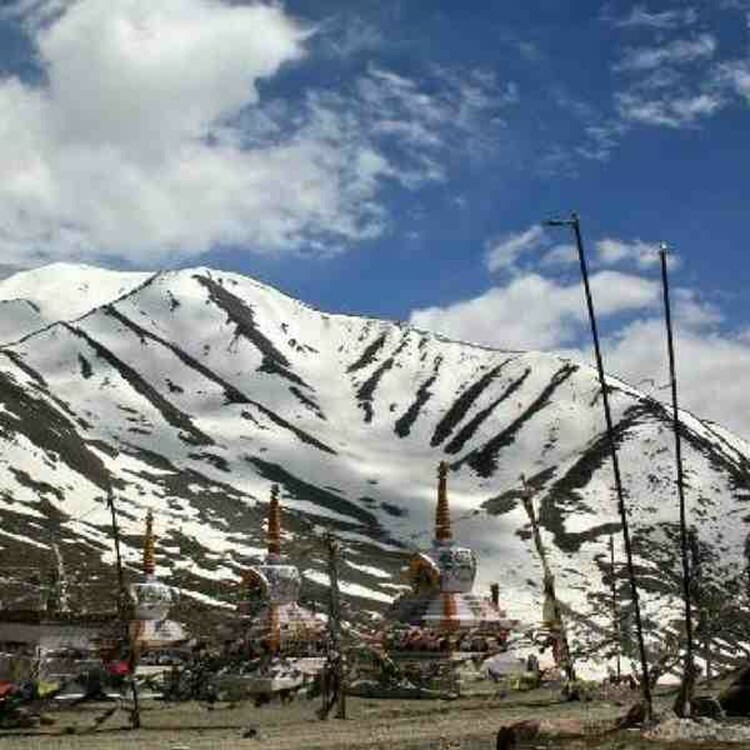 Rohtang and Kunzum pass separate Spiti and Lahaul from Kullu; they lay on the Manali-Leh highway, the route is scenic during summers, but inaccessible for most of the winter due to heavy snowfall and landslides. However, you can reach Spiti in winters via Kinnaur which is accessible unless in very extreme conditions of snowfall or landslides. Although the Himachal state transport runs buses throughout the summer in all these routes but just one bus through the Shimla-Kinnaur- Kaza route. 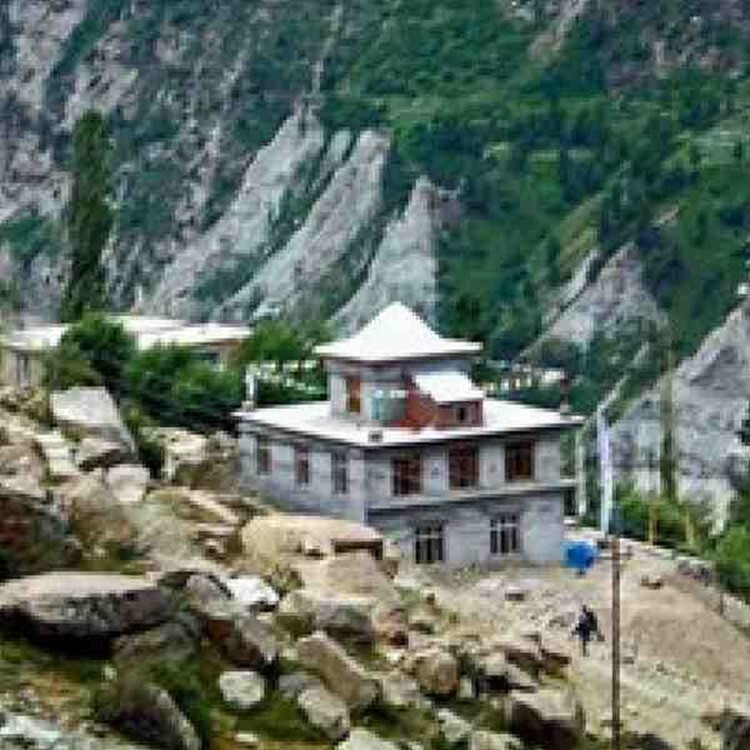 By Flight: reach IGI airport in New Delhi, since there is no direct or connecting flight to Spiti, the nearest airport is in Bhuntar. Fly to Bhuntar which is 245kms away from Kullu, and Kullu is 237kms away from Spiti which won’t take more than 6 hours to reach. Train Travel: there’s no direct or connecting train to Spiti. Jogindarnagar is the nearest railway station to Spiti, from Jogindarnagar you’ll have to take a bus to Manali, which is just 163 kms away; it won’t take more than 5 hours. And from Manali a bus to Kaza. Self drive: if you’re driving upto Spiti by a car or a motorcycle, you’ll first have to go to Manali and follow the Rohtang Pass- Kunzum Pass route to Kaza and then to Spiti. If these roads are closed up, then you can go to Shimla and drive to Kinnaur ( Rekong Peo) and move forward to Kaza which will take you to Spiti in no less than 10mins. If this route is also closed up, then there’s no choice other than to delay your plans as reaching Spiti is quite dangerous especially in winters and monsoon. 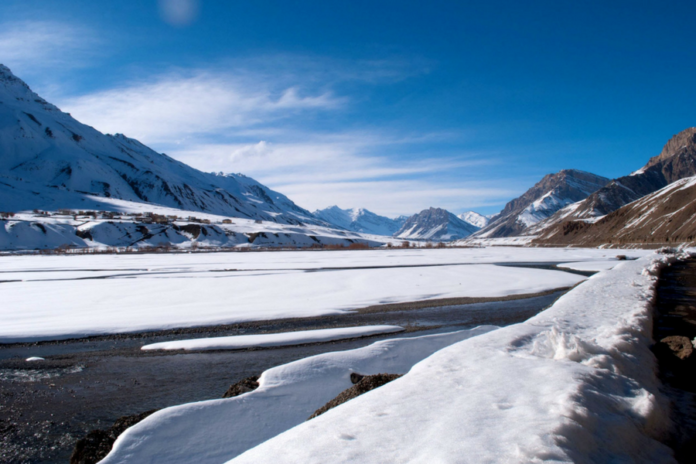 If you’re planning on visiting Spiti, especially in winters, you’re bound to see more than natural beauty set to engulf you in weirdest of feelings about life, survival, nature, snow and food. A trip to Spiti especially during winters is more than a trip, life lessons, survival instincts, value of a mere thing as water drop, food consumption and moreover loving the humanity, these are a few things amongst the plethora that are guaranteed to jump in your way and change your perspective. 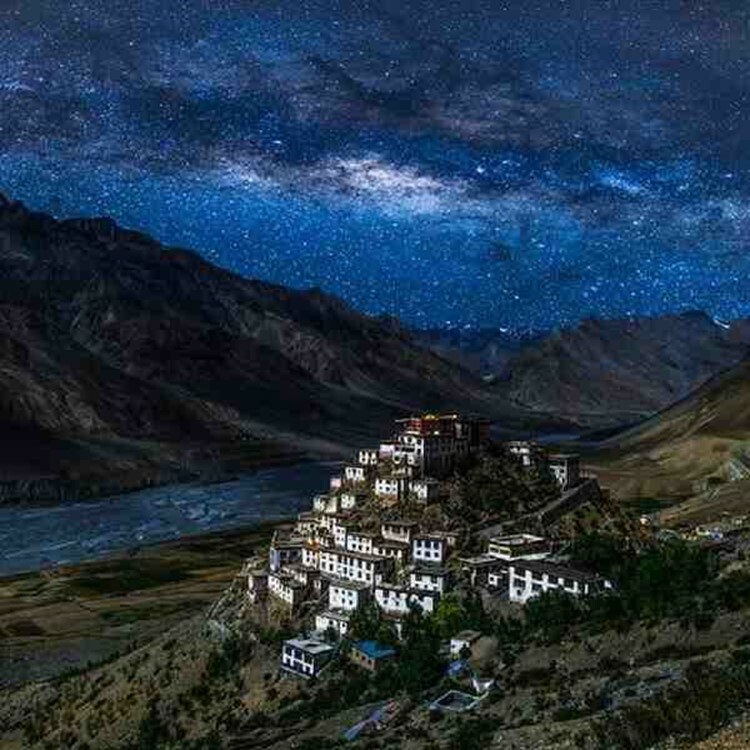 There are surprisingly a lot of places to visit in Spiti and a list of things to do. 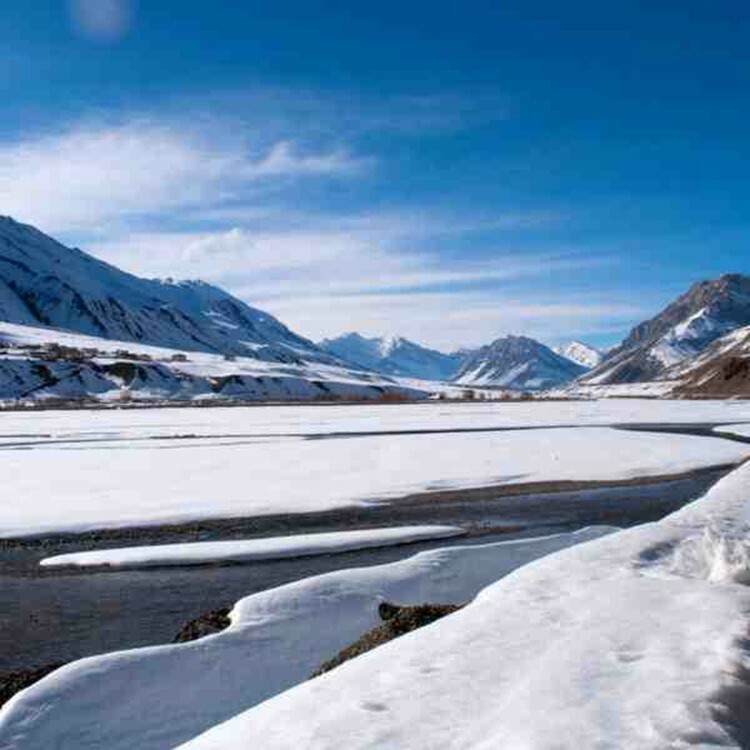 It’s quite rare that you can get away in almost a few days from Spiti during winters, but if you do by any sheer luck, you’re sure to dream of this best weekend getaway for the rest of your life, you’ll crave for this place. 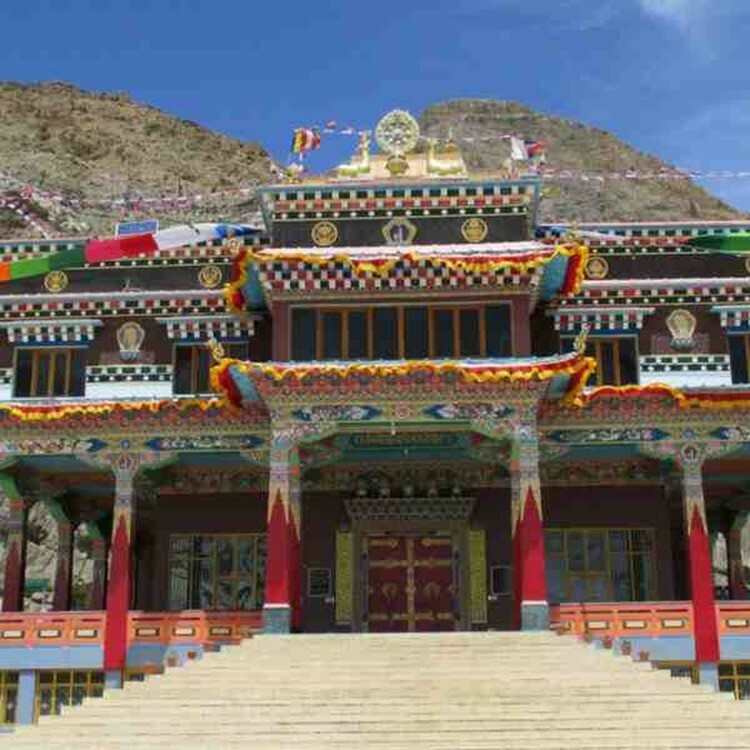 Kye Gompa also known as Key monastery is one of the most enticing places to visit in Spiti valley and Kaza region, its hilltop positioned structure points to the architecture in the post thirteenth centuries. Kye Gompa built on the altitude of 4112meters it overlooks the rashly gushing Spiti river dominating the Ki village and Spiti valley, this stunning Buddhist Shrine is one of the biggest Gompas, renowned for its inimitable collection of ‘Thangkas’, ancient books, manuscripts and murals. When you see this fort like structure built in the 11th century, you’ll be amazed at its striking resemblance to Chinese themes, it’s charming Tengyur room and a stunning assembly hall are pieced together to leave you agape. 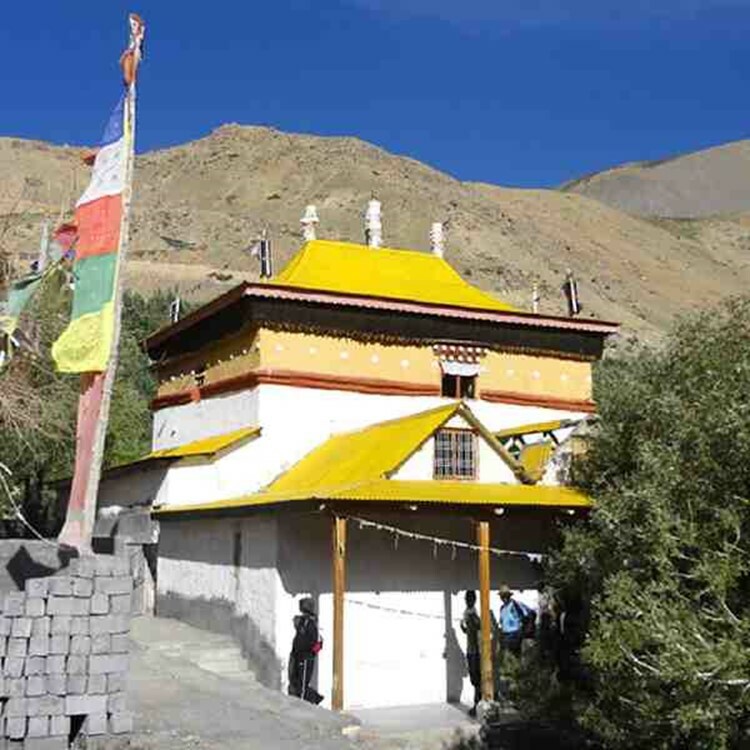 It’s one of the most holy and ancient places to visit in Spiti Valley, well known for its majestic painting and housing 9 temples of Buddha Maitreya and Tara along with multiple Stupas. While photography isn’t allowed inside, you’ll be amazed to capture the memory shots of the various stucco sculptures of Bhodhisattavas, works of Buddha and marvelous wall paintings. This 800 year old monastery was found by Padma Sambhava and is famed for its wooden shrines and idols. 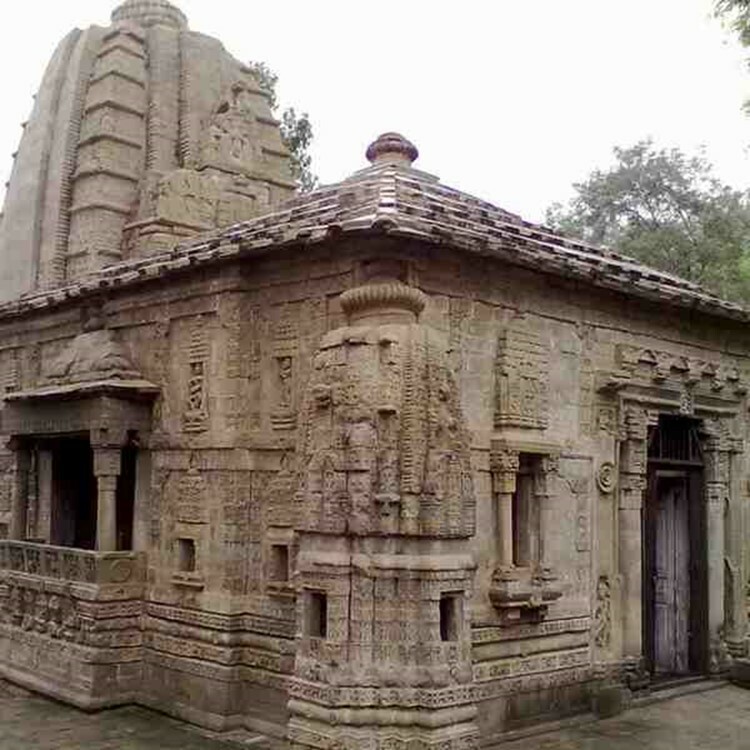 This monastery holds heritage values even though being simple and basic in all aspects, its situated at the meeting point of Chandra and Bhaga. 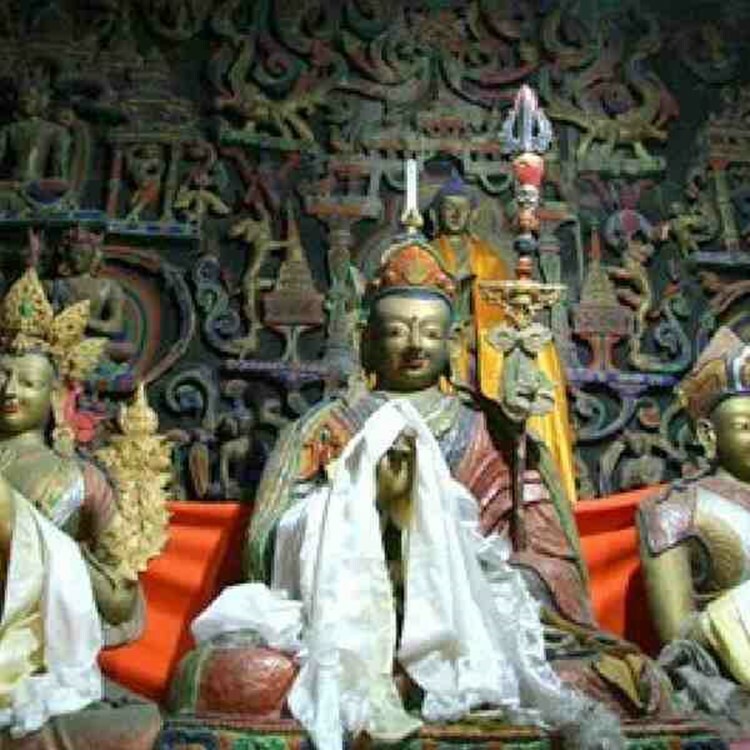 A Buddhist Mahaguru- Rinchen Zangpo founded this monastery, it’s one of the earliest monasteries taking the ones in Tibet in hand, and is considered the heart of Buddhist teachings adorned by a complex of 9 shrines. It’s also called the Golden Temple in the snow for its various gold leaf deities inside its shrines. Situated at the height of 4587m above the sea level and 4kms from Kaza, it’s a beautiful serene monastery with slanted mud walls and appearance of a fortified castle and is open to learn about Buddhism whilst captivating the beauty of the nature. Tthis is a village where each morning the villagers commence their daily activities by being smitten with the scenes outside their window. 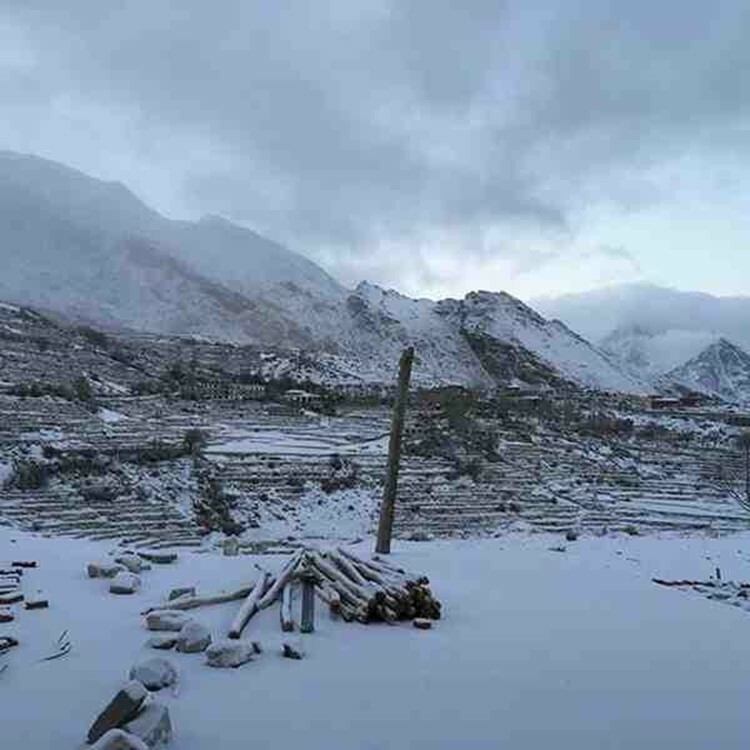 It’s a 6km drive from Kibber, strangely this village has only six houses and prides itself in being the highest village in Asia connected by road, for the adventurous blood flowing in you, Gete is a thrilling short-cut trekking place to Key monastery taking less than an hour to reach experiencing death clad rocks in the trail. 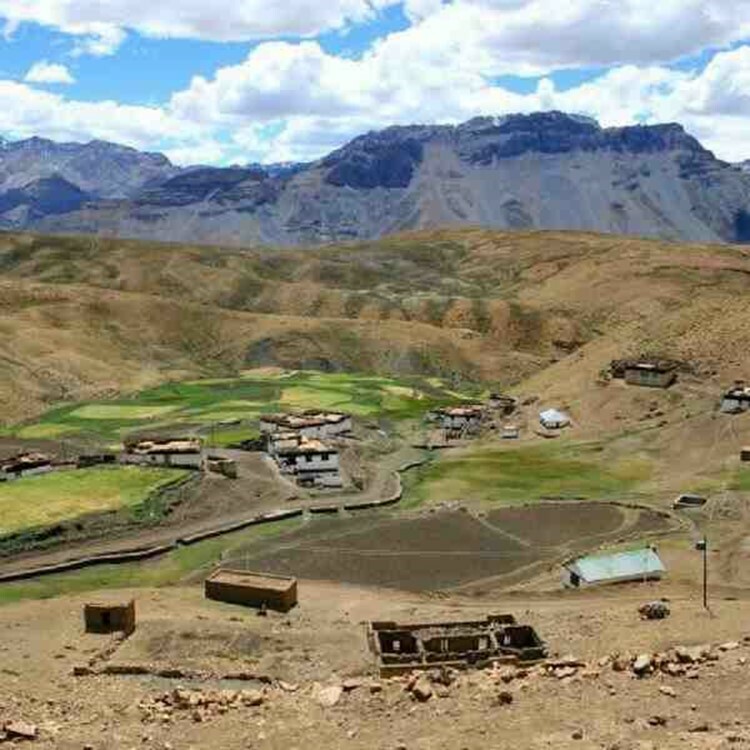 Unlike the brown of the Spiti valley, Kibber sprouts pastures over hundreds of square kms, Kibber a small scenic village near Key is 18kms from Kaza and has smooth accessible road. 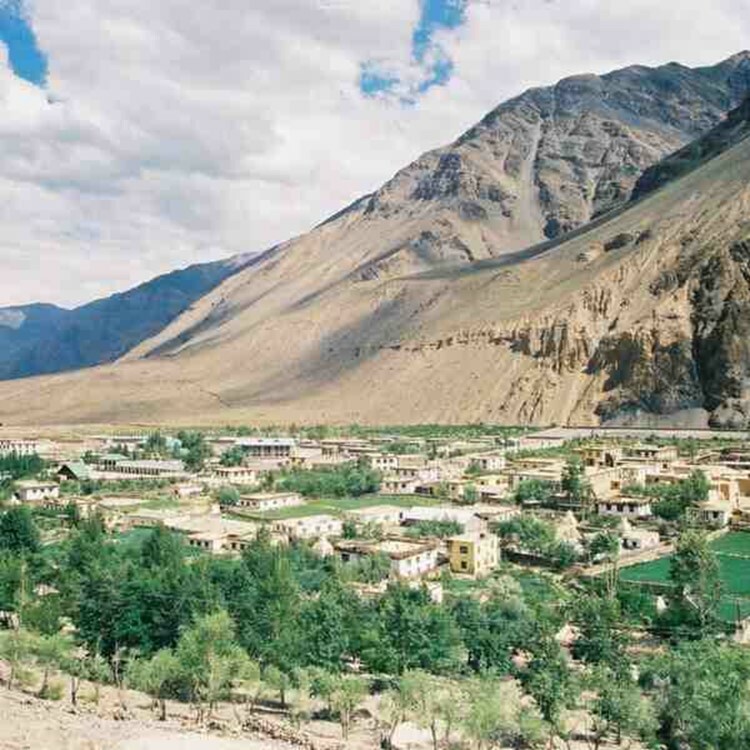 It’s claimed to be the highest village in the town, with its own polling station during elections, it’s the take off point for the famous trek to the Tso Moriri in Ladakh. Kibber has centuries long stories of falling in an old route used by traders from trans-Himalayas who in order to participate in an annual fare in Spiti would come from Ladakh, Kinnaur and Tibet. If you visit Spiti, Tashigang is one of the best places to visit, it instills not only aura of holiness but the sight of Shilla peak from here is breathtaking and intimidating. His graciousness, the 14th Dalai Lama stayed once in this village and felt nostalgic as he was reminded of his home in this beautiful village. ‘Dahi’ (curd) made from Yak milk tastes beyond the descriptions of the taste buds. 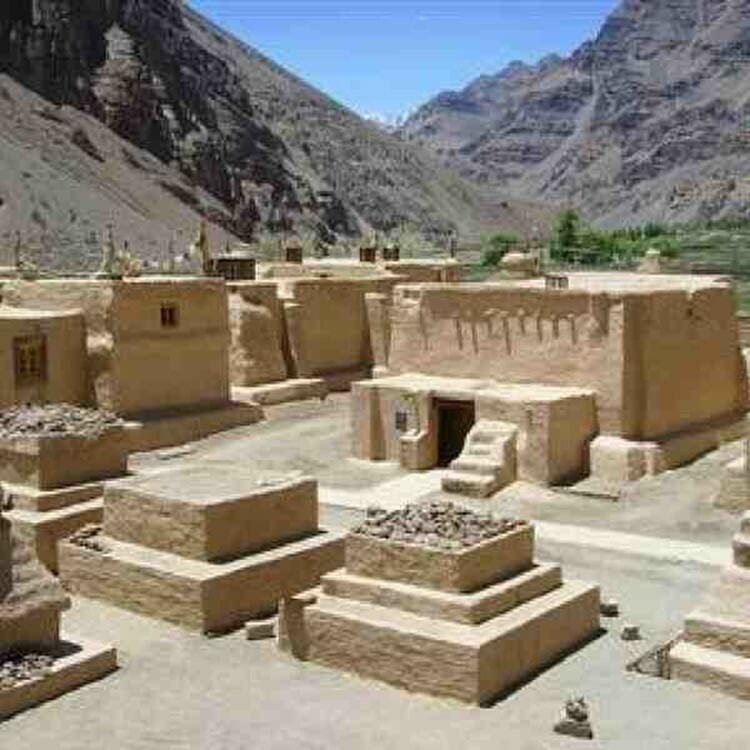 This village built on fossils is situated at the height of 4275m above the sea level, the terrains are too rough to tread upon, and life there is more difficult than we can imagine taking the beautiful vista they live in. It’s always a camper’s and a trekkers dream to visit, experience, adventure on and delve into the survival of this village. 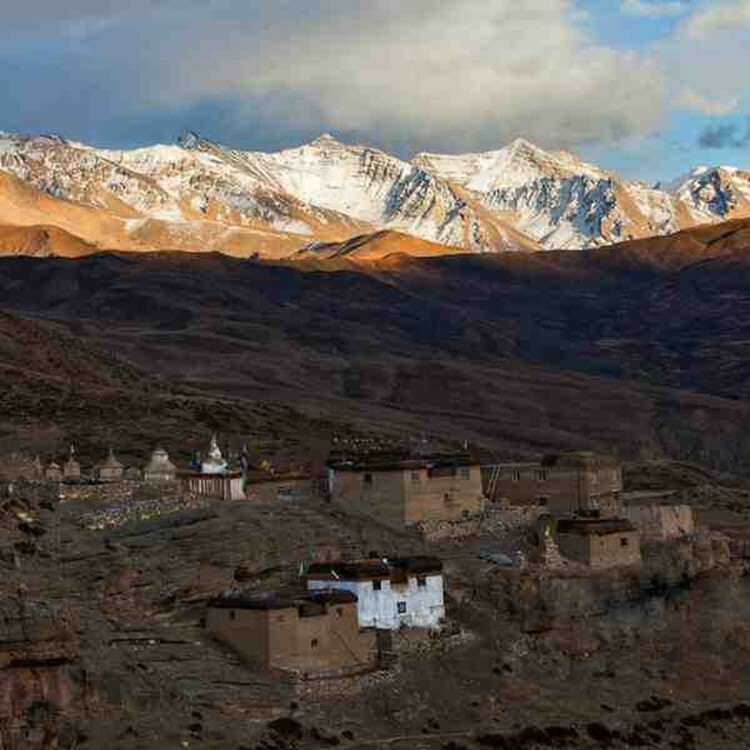 48kms from Kaza, this prehistoric village houses the most prominent monastery next to the Tholing Gompa in Tibet. This high altitude lake is crescent shaped. 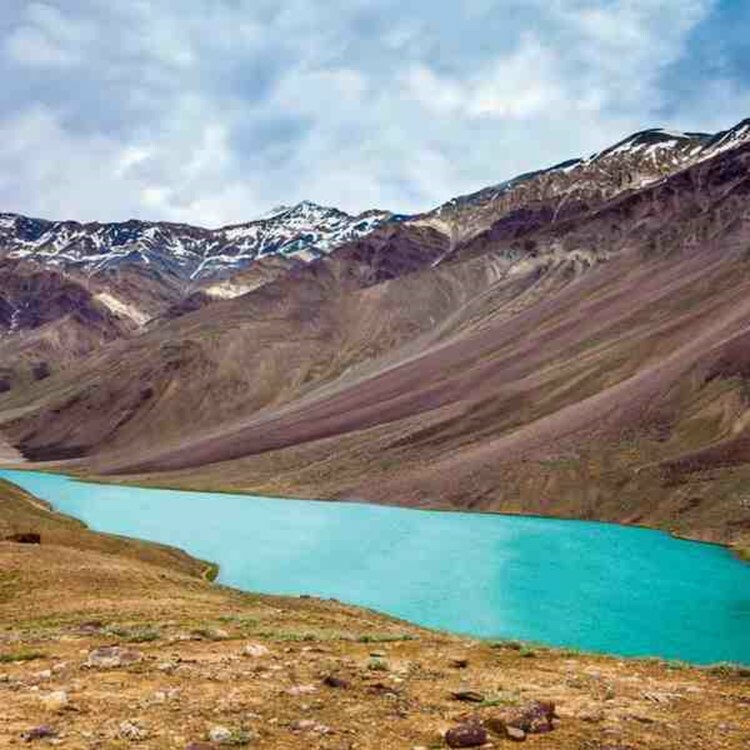 You’ll be gazing at this deep blue lake laced with teal and bright azure, looking fresh amidst the brown sturdy snow clad mountains and lush greenery of the Spiti valley. There’ll be a lot of scree crunching beneath our feet. 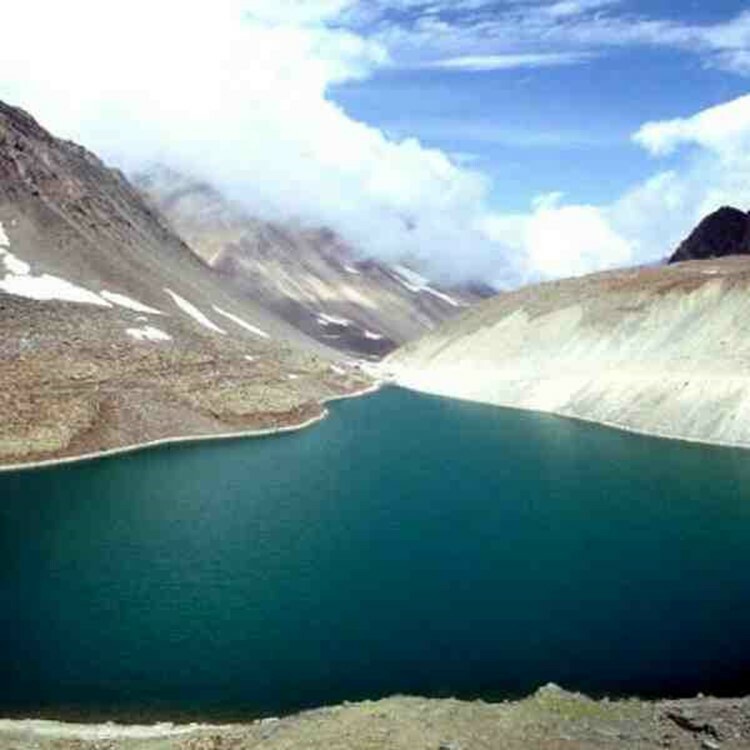 This lake is close to the Baralacha Pass and is the most photogenic lake. 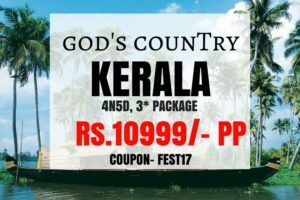 Frequented mostly by nature lovers, photographers and trekkers, it gets its name from the sun, for its clear reflections. Sar Kund or Dhankar Lake is perched on a cliff at 4270mts, it’s a fabulous natural clear water lake. Trekkers take up the challenge of a dangerous trek to reach the lake and are surely wiped off all weariness by this splendiferous lake. Kunzum mountain pass bridges Kullu and Lahaul with Spiti Valley, it’s burrowed in Kunzum Range at 4590mts offering trance entering views of Chandrabhaga Range via trekking from Chandratal Lake. The old Devi Temple and the vibrant Buddhist flags augment the beauty of this topographical marvel. Channeled on the Manali-Leh highway in Zanskar, this pass is one of the most deadliest passes in the world, it’s a nexus for numerous hilly roads between Lahaul, Ladakh and Baralacha. 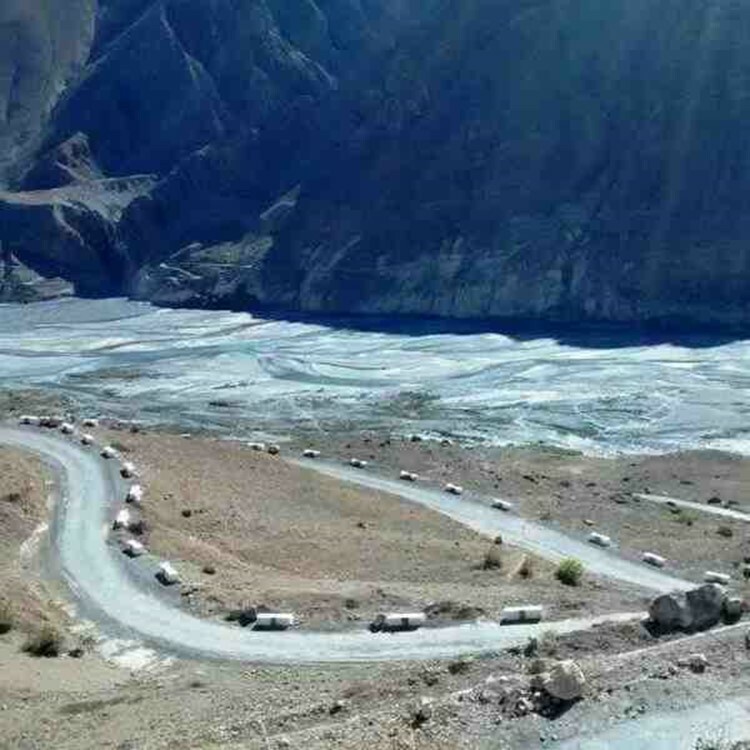 The rivers Bhaga and Yunam pass through the side, beyond which the majestic sight of the intersection of Pir Panjals, The Greater Himalayan and the Zanskar ranges can be seen. It’s ideal for mountain biking, camping and trekking through the scenic vistas. 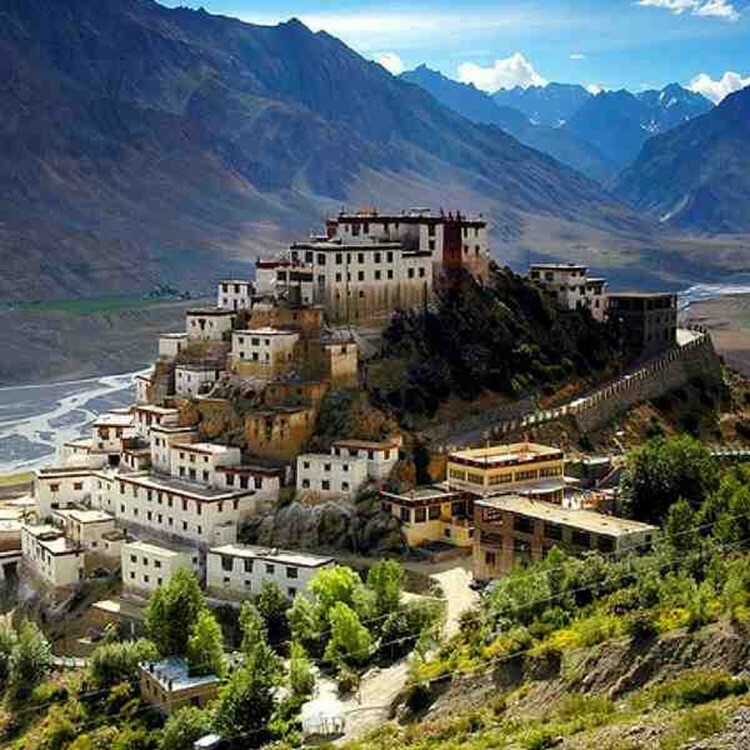 There are not many things to do but there are umpteen numerous scenic places to visit in Spiti. 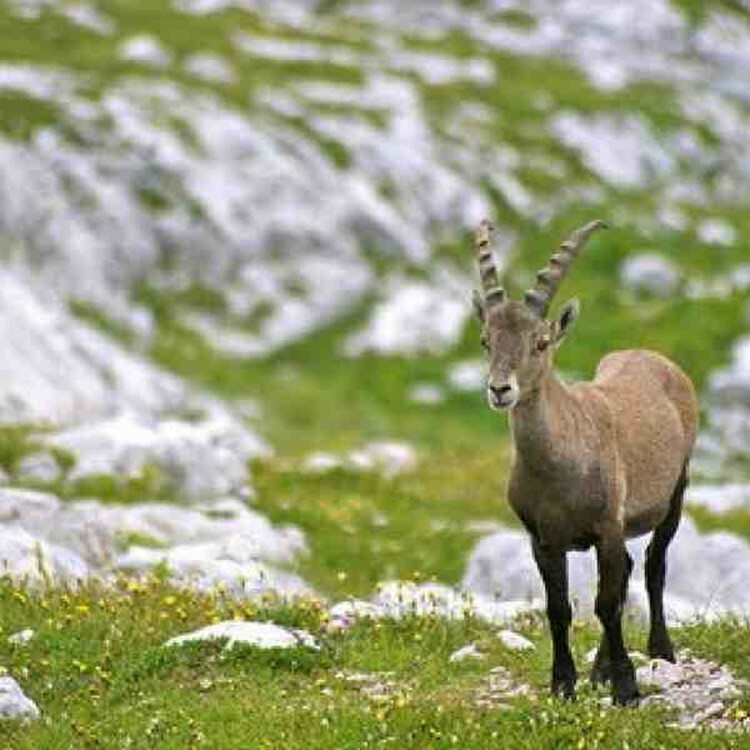 Amongst the mountain sports, trekking, hiking, skiing, and mountain cycling are the most sought after. 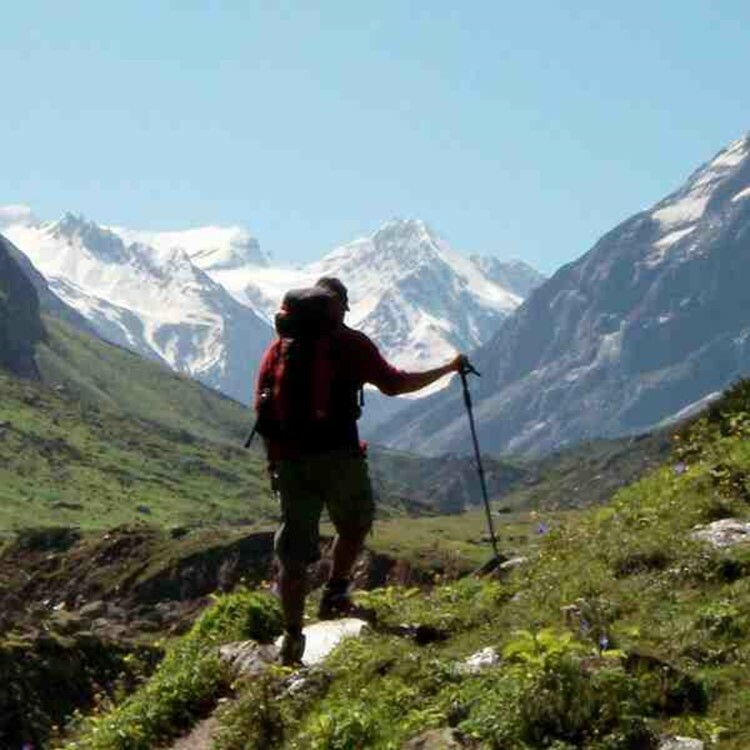 Langza- Hikkim-Komic Trek- as you trek by these villages the panorama engulfing you will be enthralling, you’ll pass through a virtual treasure trove of forests. The Chocling La Peak 6510mts is clearly visible along with the high snow enclosed peaks peaking through the clouds. 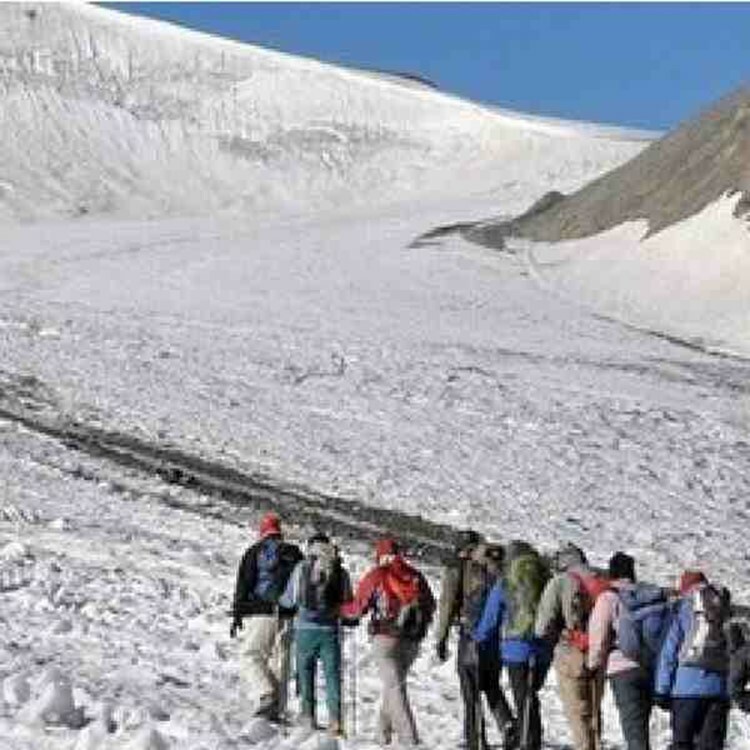 Distance and duration- this is a 55km trek starting from Langza and ending at Dhankar in a span of 5 days, this trek is almost done on foot, the first leg is covered by a cab- 13.5 kms rest are covered by foot 41.5kms. 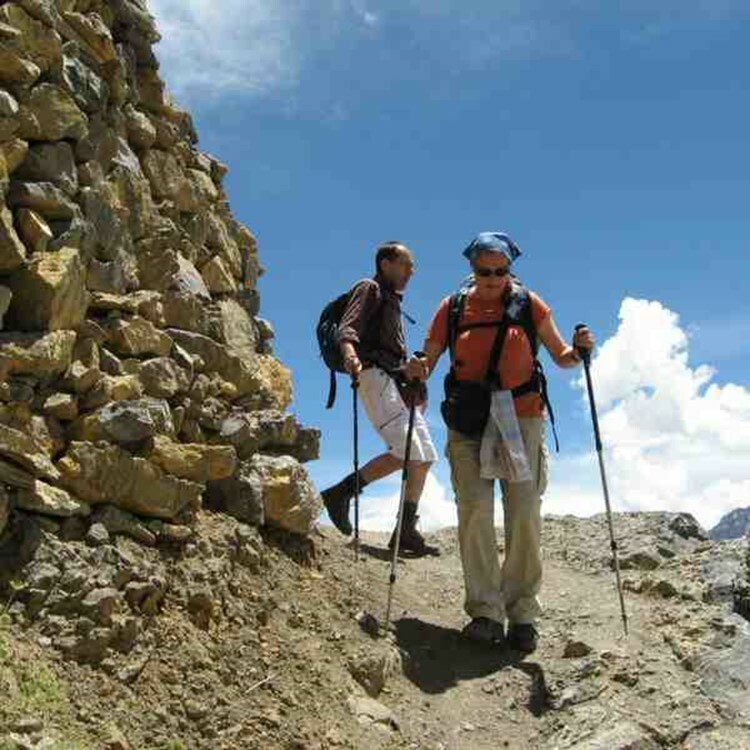 Best time for trekking- from June to September, Spiti experiences maximum temperature of 25 degrees and minimum of 3-4 degrees. 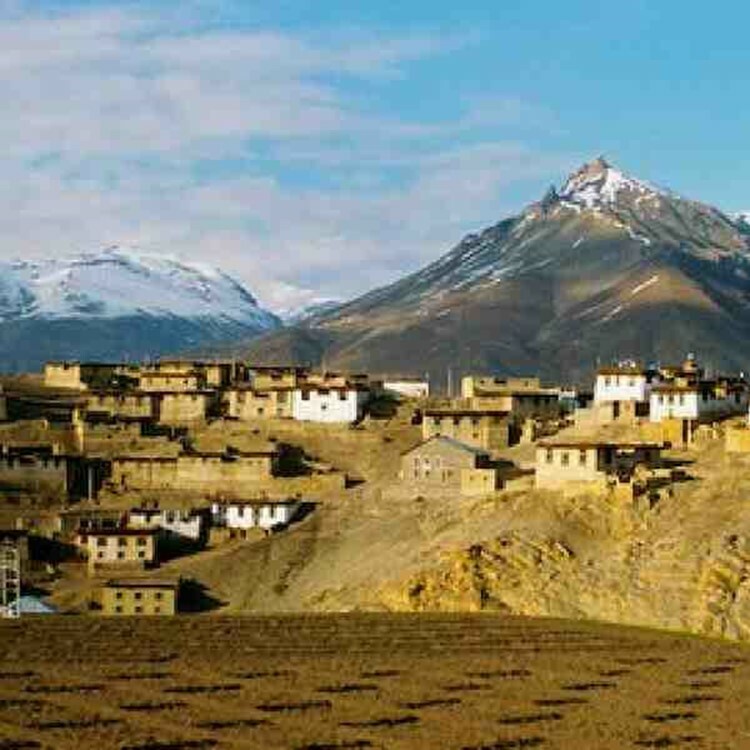 Spiti to Langza is a distance of about 55mins which is usually taken by a cab but the time stretches to more than a couple of hours, en-route you’d pass through Kibber where you can stop and revel in the Buddhist beauty that is the Key monastery. Langza is 16.1kms away via NH505; you’ll descend to the altitude of 14435 feet a photographer’s heaven. You can rest there. 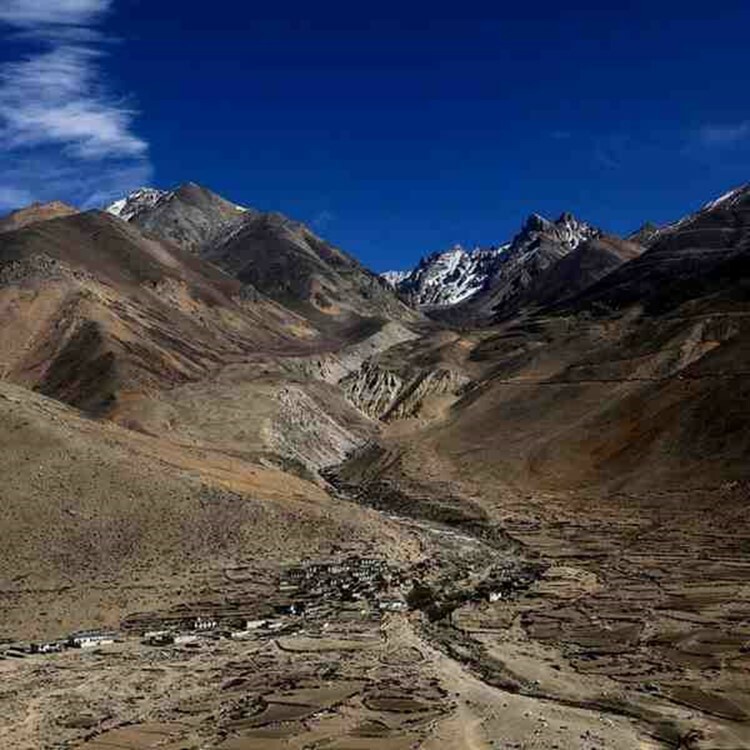 From here is where you embark on your trekking journey, it’s a 3-4 hour, 9km moderate trek which leads to Komik which is the highest inhabited village in all of Asia. En-route you can stop at Hikkim, another lush ethereal beauty which has the highest post office and highest polling station in the world. You’ll have to further ascend to 15000 feet and you’ll reach Komik, if you’re trekking during summer, you can gorge on the fresh peas picked from farms. During night, the mercury drops down to 3-4 degrees, you can find shelters in mud homes or any inn call it a day and cherish the memories. The trek from Komik to Demul is 14kms, at the altitude of 14435 feet; it usually takes more than 5 hours, traversing through the Chemai Lepcha Pass. As you stumble on the verdant green vegetation of Demul, you’ll be awestruck at this astounding beauty pristine from the brown and black of the barren mountains. You can take a short yak safari (traditional) and spend the rest of the day in the house of some local resident and soak in the local vibes. Always be sure that you pay for each and every service provided by the host, they don’t benefit in any aspect in taking you in, they just let people stay so that no one may die of cold. This is a 10km trek at the altitude of about 12300 feet, this won’t take more than 4-5 hours. This trek is obliged to offer even more views of lush greenery as you trek from the village of Demul to the village of Lalung in the Lingti valley, this will be a respite for your exhausted body as you descend down the steep rocks till Lingti. At Lalung, you’ll be bowled over to see the beauty that the mountain is, Lalung located at the foot Tangmar mountains provides presents with glimpses of the mountain changing its color from hues of red and yellow to brown. The locals believe that God lives in these mountains and hence the mountains change their colors depending on the mood of their God. 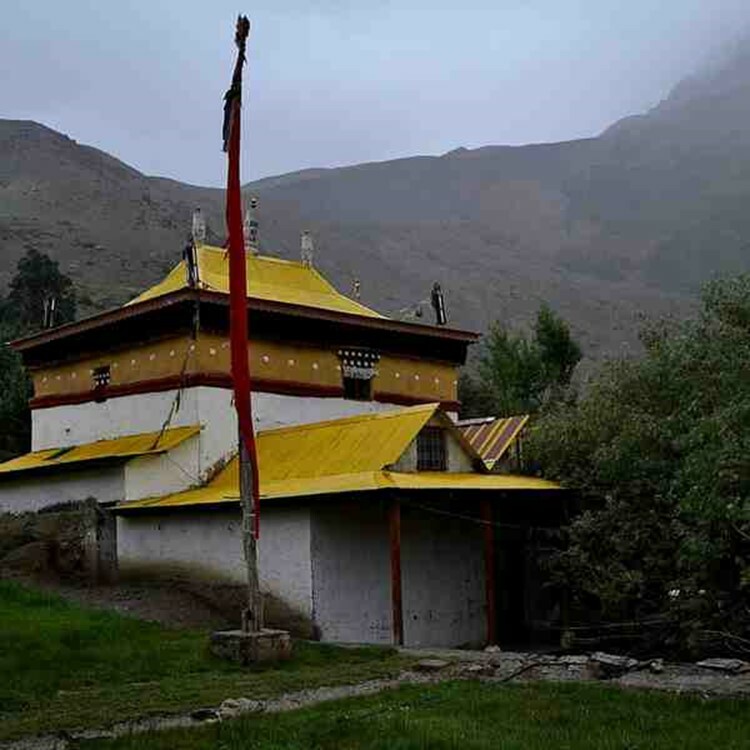 If you find some time, you can also visit one of the oldest Gompas in the Spiti Valley. This trek takes more than 12 hours. The distance from Lalung to Dhankar is 9kms which won’t take more than 5 hours at the altitude of 12800feet. 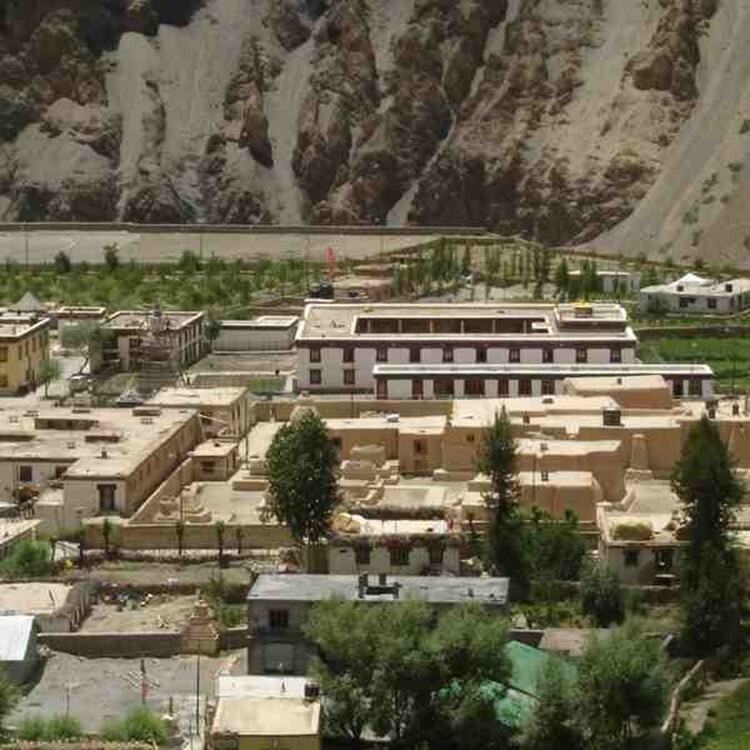 Dhankar the former capital of the Spiti Valley stands perched above the confluence of the rivers Spiti and Pin. 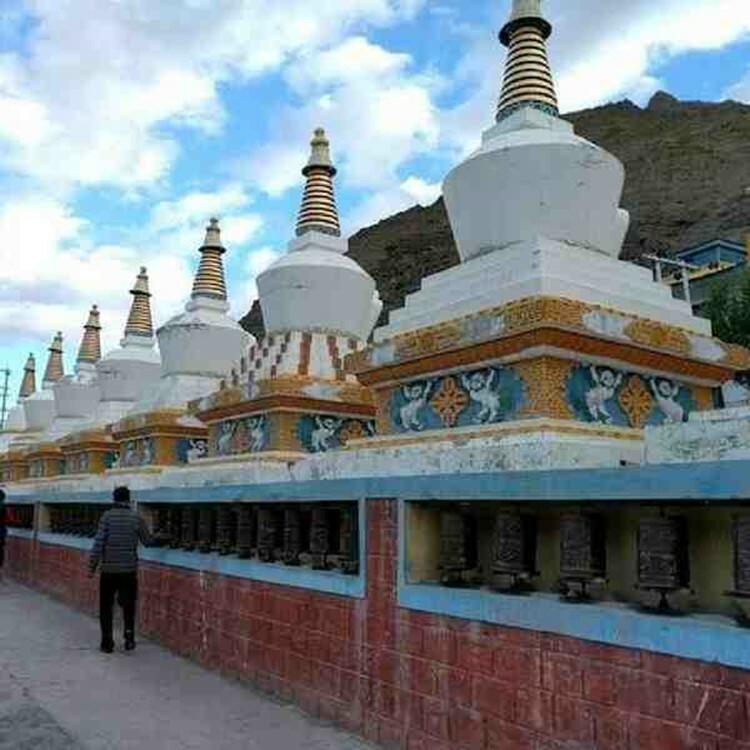 People drive off to the Tabo monastery in Tabo a UNESCO world heritage, if you find time, you can do so too. 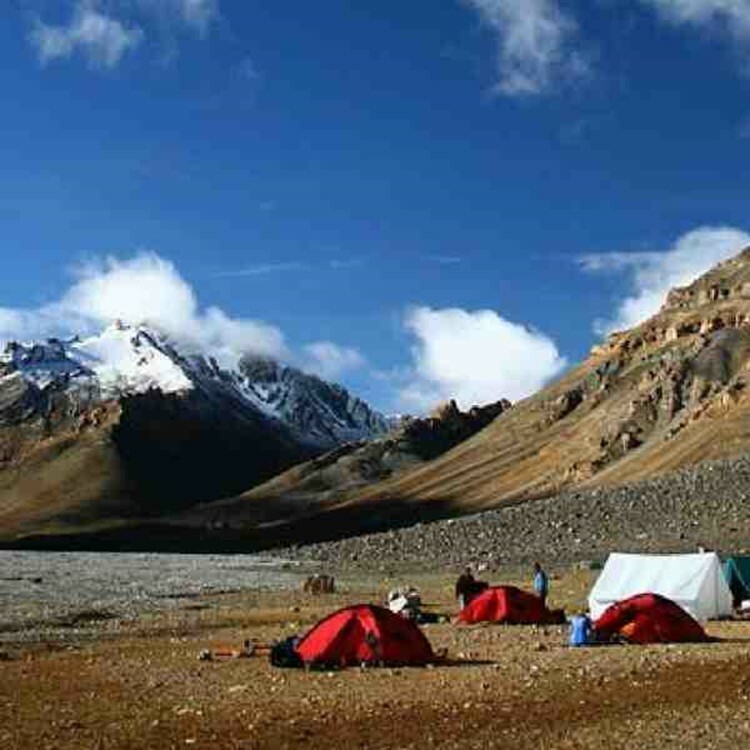 At Dhankar, you can resume your trek back to Spiti touching Kaza. 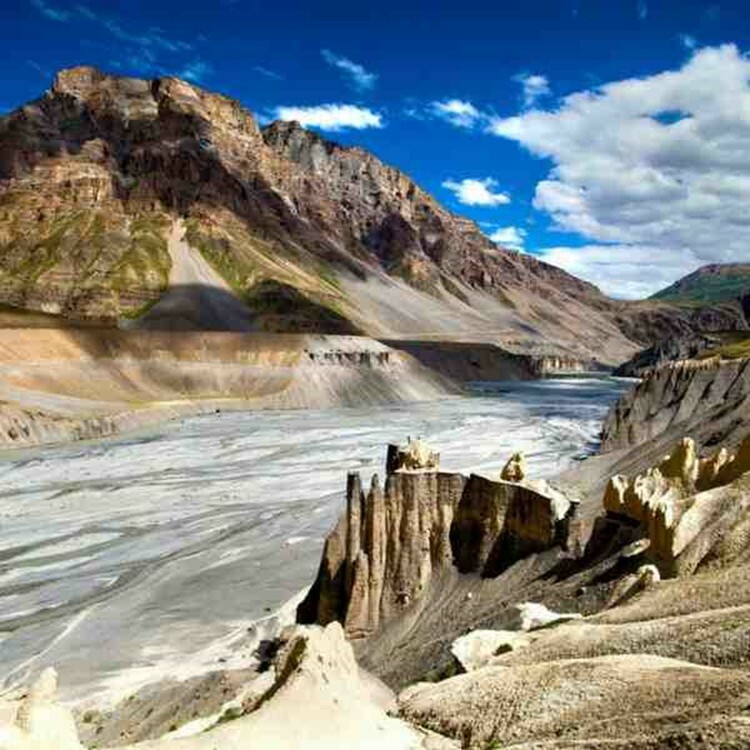 Pin valley is positioned in the cold desert region of the Spiti valley, declared a national Park in 1987, at Attargo Point, the Pin River which forms the valley climbs the eastern inclination of Pin Parvati Pass (4800mts) to meet the Spiti River. 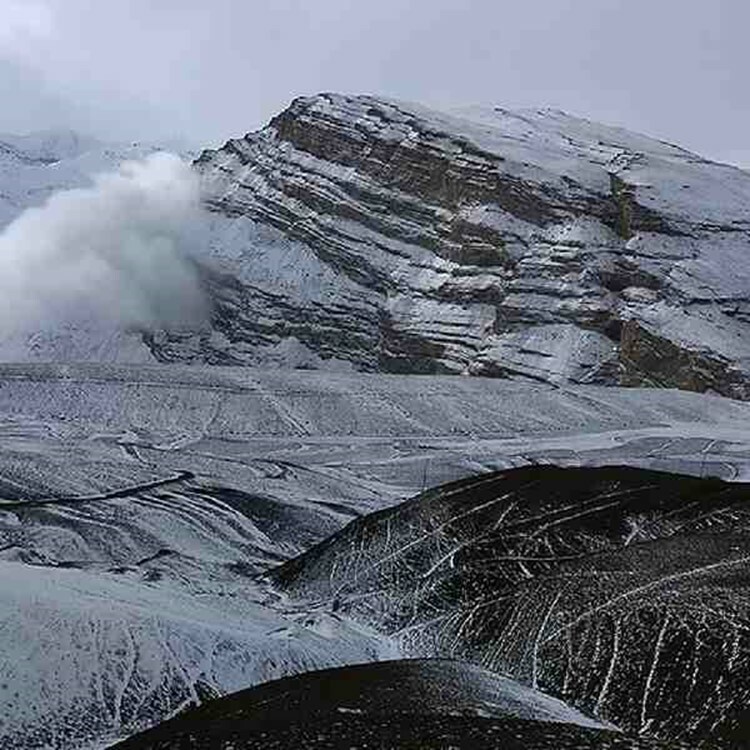 With the snow engulfed and unexplored highly elevated slopes, the park forms a perfect natural habitat for many endangered species including Siberian Ibex, Woolly Hare, Tibetan Gazelle and Snow leopard, a paradise for nature lovers and photographers. The park marks the Lahaul and Spiti divisions of the state by spreading out towards south in the Dhankar near the Tibetan borders. The elevation of the park stretches and increases from about 3500mts in Ka Dogri to approx 6000mts being its highest point, its 25kms away from Spiti and 31kms away from Kaza. Here is an offbeat trail planned, people go trekking, hiking, cycling, motor biking to these areas. You can drive to Jispa or take a cab, Jispa can be reached via NH505 and Leh- Manali highway. It’s almost 4 hrs away from Spiti at a distance of 203 kms. 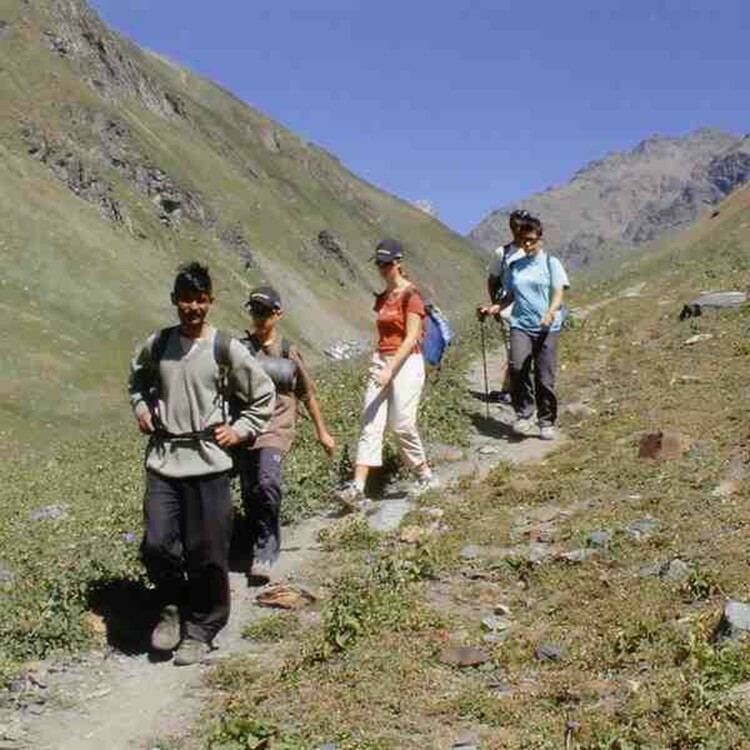 People also follow offbeat trails to trek or hike to near villages of Tabo, Langza, Demul, Pin valley national park etc. There are no tree houses available in or near Spiti, but there are a lot of camps at reasonable rates available. Parasol Camps and retreats near Spiti and Chandratal- different types of tents and prices available. 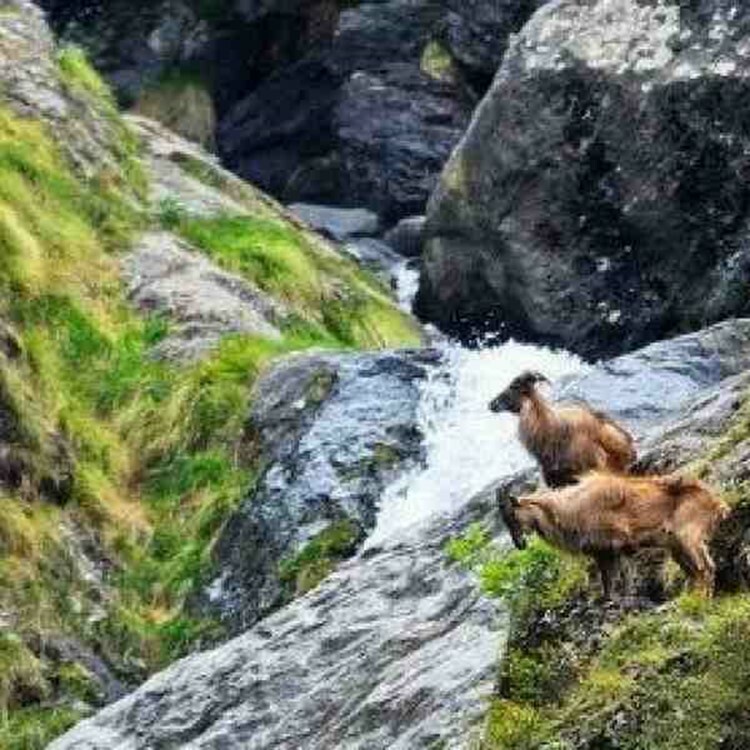 Its located in Udaipur the sub division of Lahaul and Spiti. Triloknath which was known as the Tunda Vihar in the ancient ages is the holy shrine revered by both Hindus and Buddhists. Hindus worship it for ‘lord Shiva’ and Buddhists as ‘Arya Avalokiteshwar’, it’s also known as ‘Garja Fagspa’ in Tibetan Language. 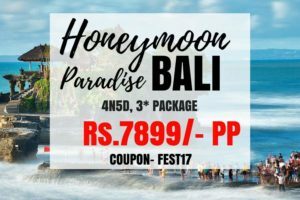 There are a lot of honey moon packages to visit Lahaul and Spiti, Manali- Lahaul and Spiti etc. This is a village where each morning the villagers commence their daily activities by being smitten with the scenes outside their window. 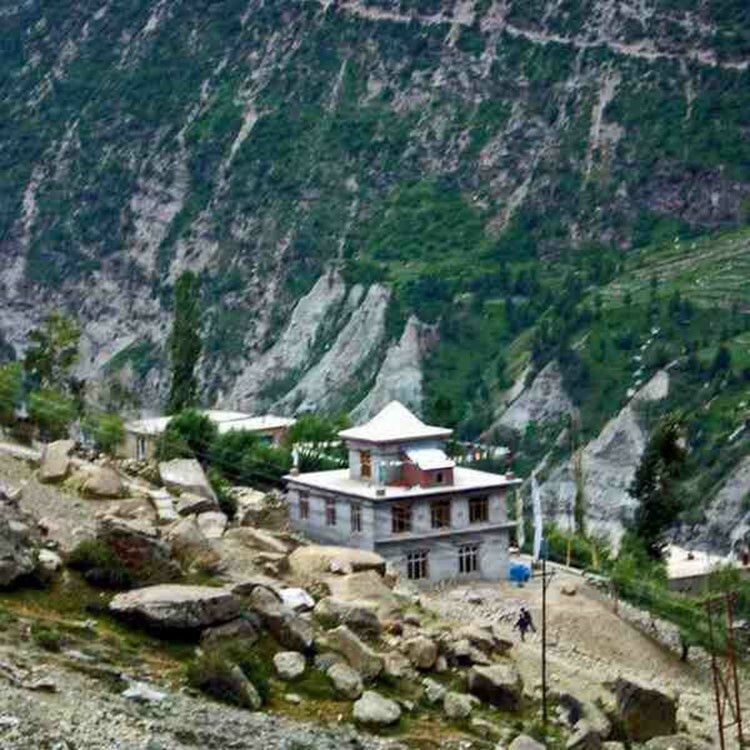 It’s a 6km drive from Kibber, strangely this village has only six houses and prides itself in being the highest village in Asia connected by road, for the adventurous blood flowing in you, Gete is a thrilling short-cut trekking place to Key monastery taking less than an hour to reach experiencing death clad rocks in the trail. Gete village is bound to stir in you all love as you stand gazing at the panoramic vistas through the windows. 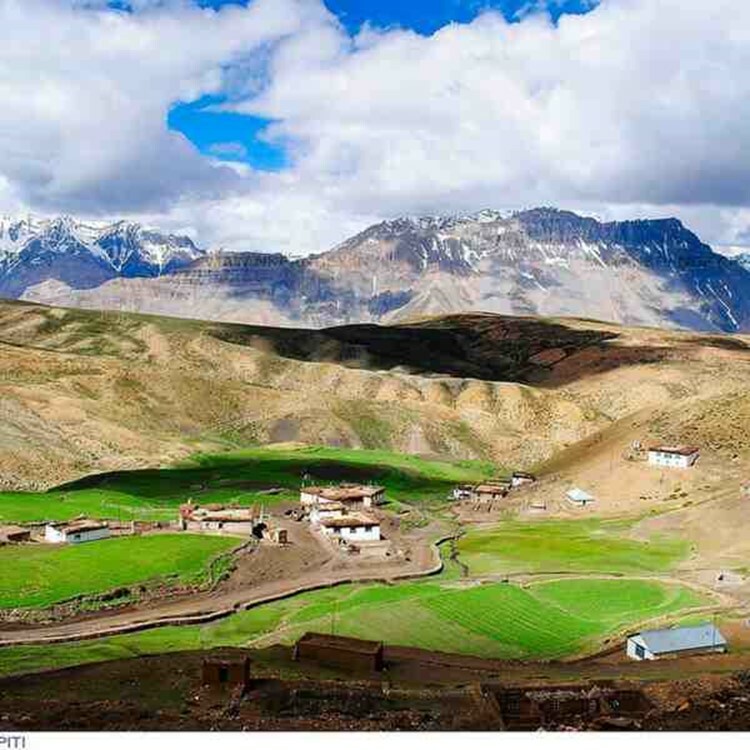 Unlike the brown of the Spiti valley, Kibber sprouts pastures over hundreds of square kms, Kibber a small scenic village near Key is 18kms from Kaza and has smooth accessible road. It’s claimed to be the highest village in the town, with its own polling station during elections, it’s the take off point for the famous trek to the Tso Moriri in Ladakh. Kibber has centuries long stories of falling in an old route used by traders from trans-Himalayas who in order to participate in an annual fare in Spiti would come from Ladakh, Kinnaur and Tibet. As you stand revering the sight in the arms of love, you’ll come back with memories unforgettable. If you visit Spiti, Tashigang is one of the best places to visit, it instills not only aura of holiness but the sight of Shilla peak from here is breathtaking and intimidating. His graciousness, the 14th Dalai Lama stayed once in this village and felt nostalgic as he was reminded of his home in this beautiful village. ‘Dahi’ (curd) made from Yak milk tastes beyond the descriptions of the taste buds. Tashigong implant love through its air, it offers perfect seclusion and a ram to embark your new life. 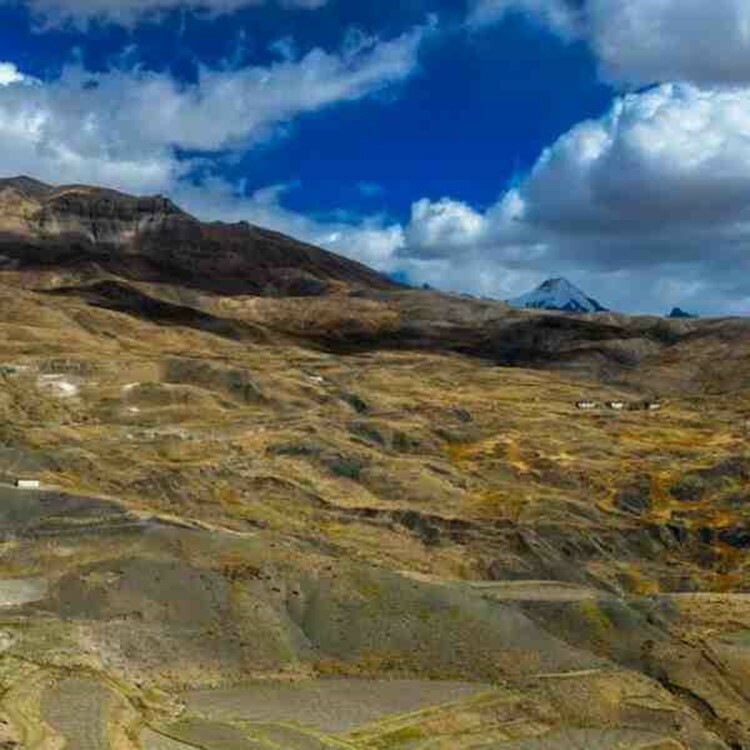 This village built on fossils is situated at the height of 4275m above the sea level, the terrains are too rough to tread upon, and life there is more difficult than we can imagine taking the beautiful vista they live in. It’s always a camper’s and a trekkers dream to visit, experience, and adventure on and delve into the survival of this village. Komic offers not only adventure and thrill, but love and romance through its amazing sights.